The world as we know it today would not be the same if it wasn’t for the impact and influence of various notable individuals, who happen to have been refugees that fled from conflict and persecution. Numerous asylum seekers have made a profound impression on global society through politics, philosophy and the arts, from Madeleine Albright to Karl Marx and Salvador Dalí. World Finance takes a look at a handful of the most influential in science and business. Considered a genius and the most important physicist of the 20th century, Albert Einstein was born in Germany in 1879 into a secular Jewish family. After dropping out of school, he moved to Switzerland to study, but it took him two attempts to gain admission to the Swiss Federal Polytechnic School. Soon after entry, Einstein renounced his German citizenship in 1896 in order to avoid conscription; he was stateless for five years. In 1905, Einstein published four papers that changed the future of physics – the best known was his fourth, which contained the famous equation, E=mc2. Einstein was awarded the Nobel Prize in physics in 1921, not for his theory of relativity, as widely assumed, but for discovering the law of the photoelectric effect. As Einstein travelled the world giving lectures on his findings he became a target of the Nazis, which led him to take up a teaching post in Princeton in 1933. After WW2, Einstein became an activist, speaking out against the use of the atomic bomb and campaigning for civil rights in the US. He remained in Princeton until his death in 1955. Sigmund Freud was born in 1856 in Moravia, (modern-day Czech Republic), before his family moved to Vienna. After gaining a doctorate in medicine and working on hypnosis, among other things, Freud set up his own private practice in 1886. He soon gained a reputation for controversial theories, including the Oedipus complex and the prescription of cocaine as a ‘miracle cure’. His major work, The Interpretation of Dreams, was a commercial failure when it was first published in 1900, but then went on to become the foundation of modern psychotherapy. Although he was an atheist, Freud was born into a Jewish family and his books were among those publicly burnt by the Nazis. Following the German annexation of Austria, Freud’s apartment was raided and the Gestapo arrested his daughter, Anna. With help from his patient, Princess Marie Bonaparte, in 1938 Freud escaped Vienna with his wife and Anna. Bonaparte was unable to help his four sisters, who all died in concentration camps. Anna went on to become a renowned psychoanalyst in her own right. 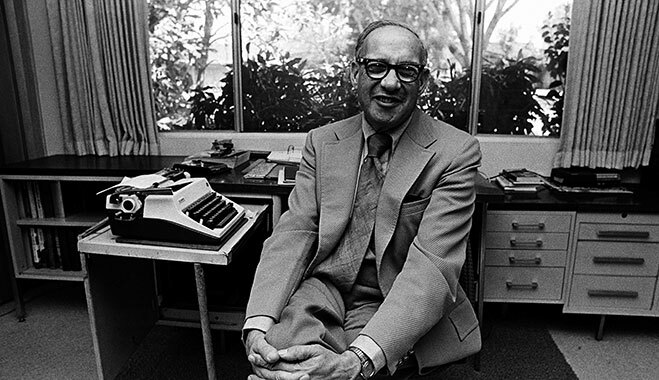 Born in Vienna in 1909, Peter Drucker became a world-famous professor, writer and management theorist. Considered by many as “the man who invented management”, he had a direct impact on some of the world’s most influential organisations, including Intel, IBM and Proctor & Gamble. Drucker wrote numerous books and academic papers, making predictions that were way ahead of his time, including decentralisation, privatisation, the rise of Japan as an economic power and the importance of marketing and innovation for success in business. Regarding his first major work, The End of Economic Man, Winston Churchill described Drucker as having “the gift of starting other minds along a stimulating line of thought”. Having realised the dangers of living in 1930s Germany, Drucker moved to London in 1933 and then went on to the US, where he began a consultancy service that drastically changed the internal structures of several major corporations, starting with General Motors. Roberto Goizueta served as Coca Cola’s CEO and Chairman between 1981 and 1997. He is responsible for introducing Diet Coke, the biggest selling sugar-free soft drink in the world, taking the Latin American market from Pepsi, and, earning the company billions through the acquisition and sale of Columbia Pictures. Goizueta fled Cuba in 1960 when Fidel Castro came to power and settled in Miami with nothing more than $40 and 100 shares in Coca Cola. Soon after, Goizueta joined the soft drink giant as a chemical engineer and quickly rose through the ranks. Coca Cola was struggling when Goizueta took over, but he drastically shook things up by purchasing unproductive bottling plants, replacing their management and increasing volume, before selling them off to a subsidiary. The business legend also revised the company’s financial strategy to focus more so on shareholder returns. According to CNN, Goizueta created more shareholder wealth than any other CEO in history; during his tenure, the total return on stock was over 7,100 percent. John Kemeny, a mathematician and computer science revolutionary, became famous for developing BASIC with Thomas Kurtz in 1964. Until recent years, BASIC was the most common computer programming language in the world. The software was a vital step in educating the world on coding, and speeding it up significantly as well. While studying for his doctorate at Princeton, Kemeny served as a research assistant to Albert Einstein. Kemeny became president of Dartmouth College from 1970 to 1981; he made drastic changes to the curriculum process and the student body by admitting women and introducing a programme for Native Americans. After being convinced by his students to sell BASIC commercially, Kemeny and Kurtz established True BASIC in 1983 and created versions for DOS and Mac operating systems. When he was 12 years old, Jewish-born Kemeny left Hungary with his family to flee the Nazis. Relatives that stayed behind did not survive the Holocaust.